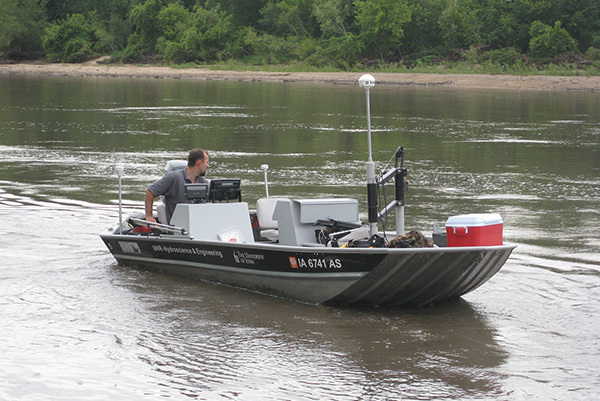 IIHR owns a number of research vessels for a variety of data-collection needs. 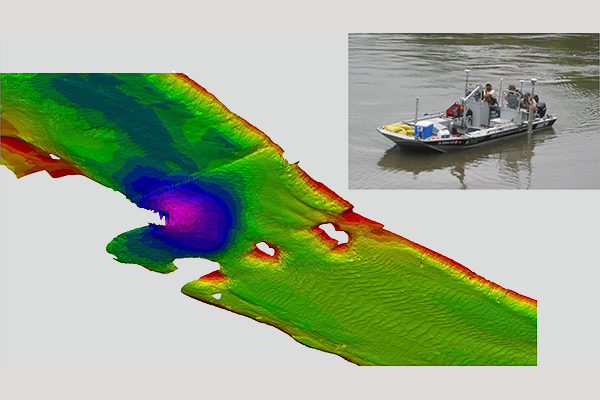 IIHR staff can conduct single-beam and multibeam bathymetric surveys to detect scouring around bridge piers due to frequent flooding, changes in riverbeds near power plant intakes, and more. 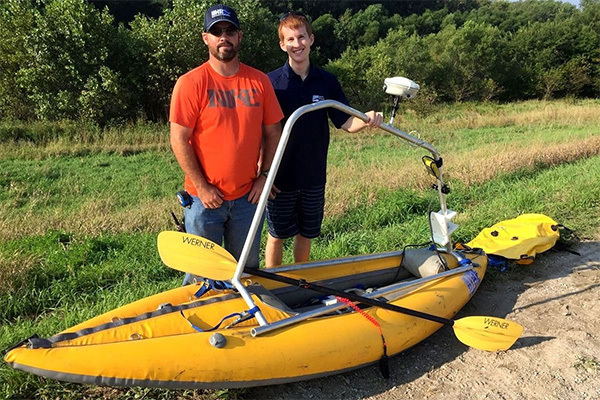 IIHR engineers use kayak-based bathymetry for shallow-water surveying. 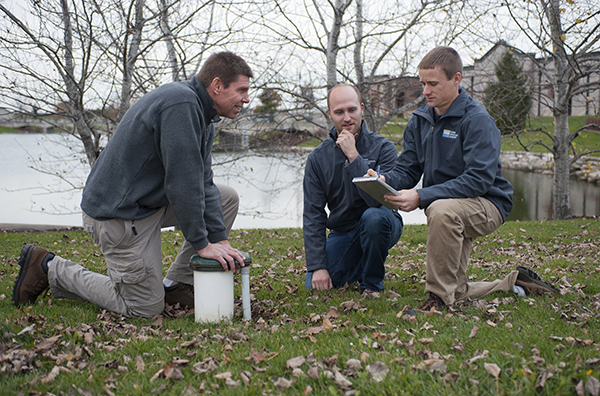 IIHR has on-staff expertise with groundwater management and data collection. 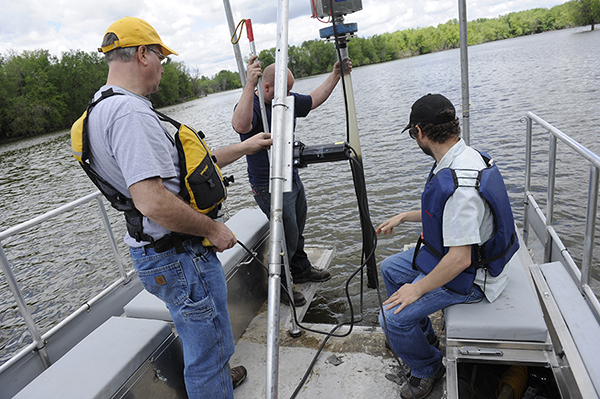 IIHR maintains and operates field equipment, including research vessels with instruments to measure river flow rates, velocities, depths, and water quality. Wetland cells built and tested by IIHR, and then installed near the wastewater treatment plant in Iowa City. Iowa Flood Center research includes development and deployment of instruments such as tipping bucket rain gauges, soil moisture probes, stream-stage sensors, and radars. IIHR staff support these efforts to varying degrees and have developed new expertise in the process.